Ahh...so much for my relaxing Sundays, or summer days as far as that goes! 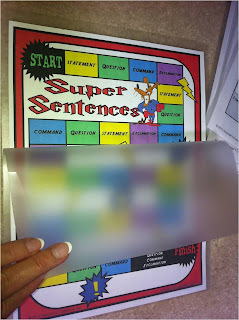 It seems most every day is now filled with laminating, cutting, creating, printing....whatever it takes to get prepared for the upcoming school year. Just when I think I'm about ready, I find another "to-do list." I'm pretty much going to be restricted to HOME this last full-week of summer. Anywhere else I go, I end up buying a cart full of stuff for school - anyone else with me? GEEZ...it's an addiction, I tell you! Mr. Madden and I were at A.C. Moore a few days ago, looking for adhesive vinyl for the Cameo, when he found a "great deal" on packaged canvases. You see, I had casually mentioned to him that I would like to have the kids paint their own monster pictures on the first day of school for our hall display. The hall display has been the ONE thing stumping me with this theme. :( So, now I have 21 canvases (gulp! 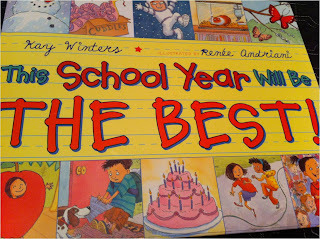 )....looks like we'll be having a painting party on the first day of school! I'm not sure how to display them though - any ideas? Ribbon and 3M hooks? But those hooks are so expensive! I want it to be really cute. Ideas for a title? Ugh...I really wish I could hire someone to do my hall display...wouldn't that be AWESOME? Speaking of monsters, I just LOVE when people think of me when they see this theme out and about. Vicky over at Keep Calm & Imagine sent me an email (and posted on her blog) about this great find at Wal-Mart. It's a Monster Candle Warmer! Isn't it adorable!?! I think it's just what my desk needs. 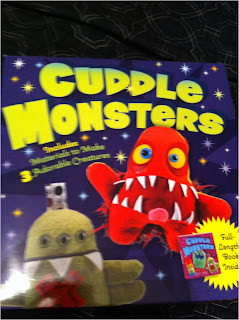 :) And, I'm STILL on the lookout for that monster duct tape that everyone ELSE'S Target has in stock! Make Your Own Monsters Kit! 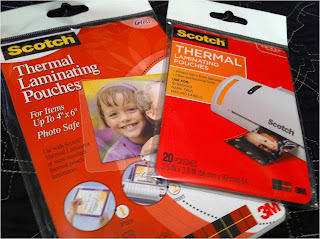 More laminating pouches for my new BFF! The Scotch laminator uses sleeves (or pouches) that are open on three-sides. You just put your page in between (like above) and insert the closed end into the laminator. It pulls it through and voila! If you don't have one and have already spent WAY over your school budget, I would put it on your "wishlist"...for only $28 (Target) you may have a parent who would offer to purchase it for the classroom! I did pull the Silhouette out of the box today and hooked it up. 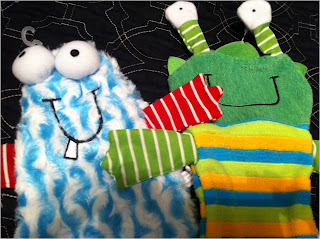 I made a few little projects that will be part of my Monday Made-It post tomorrow. It was way easier to use than I thought it would be! I can see lots of potential here. :) However, I've been kind of bummed that I haven't been able to find the adhesive vinyl locally in bright, fun colors. :( I had to order it from online, so now...more waiting! If you have a cutting machine, where do you find your vinyl? And, I hear I need to get transfer sheets to make it all a little easier. Any other must-haves or tips from those of you who have been using your Silhouette for a while? I haven't done one of these in a while, but want to get back into the habit of showcasing a new blog each weekend. 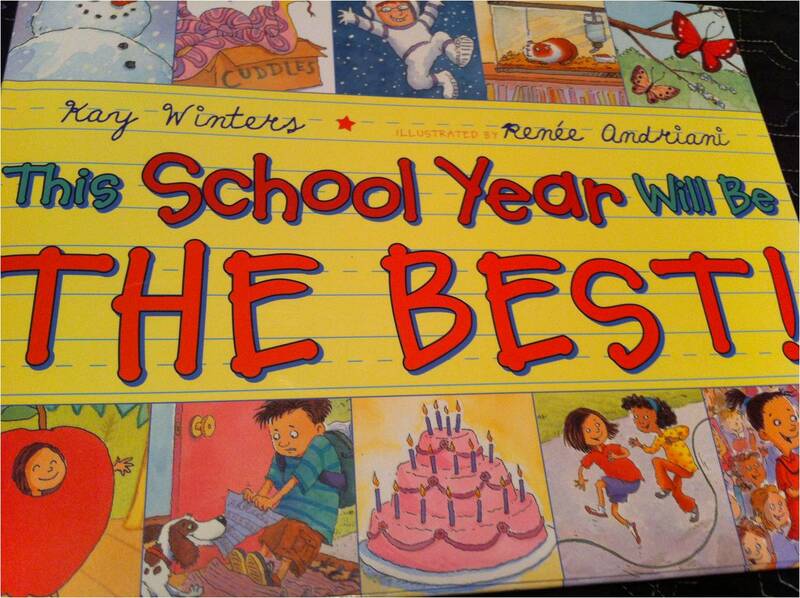 Today, I'm asking everyone to drop by Starring in First Grade! 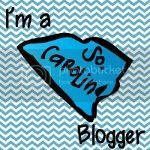 to show Stephanie some blog love! She is the cutest thing ever!! I'm not just saying that because we have a lot in common...like we both get HANGRY or that we're both Jeff Gordon fans, love the Hollywood classroom theme (sigh...I am going to miss that theme) and SEC football (although she's a Razorback and I'm a Gamecock!) 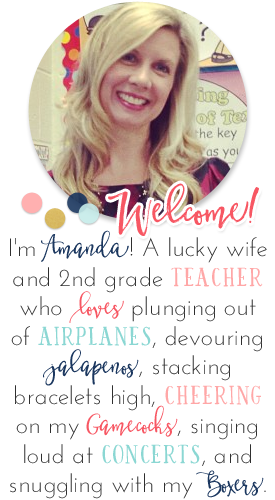 She is starting her second year of teaching first grade and is a brand new blogger in the midst of getting her room ready for the new school year. I'm sure she'll be sharing lots of new ideas this year that you won't want to miss! I'm going to switch this feature for the school year to more of an interview type of post to let new bloggers share a little bit about themselves and their blogs with others. If you're a new blogger (I'm going to say fewer than 300 followers) and would like to participate, send me an email! Hey Amanda! I totally agree with you about the Scotch laminator. I spent half the day using mine too. Amazing! I found some vinyl at Hobby lobby but they don't have many colors. I like it better in sheets and this was on a roll but it's much faster than waiting for it in the mail. 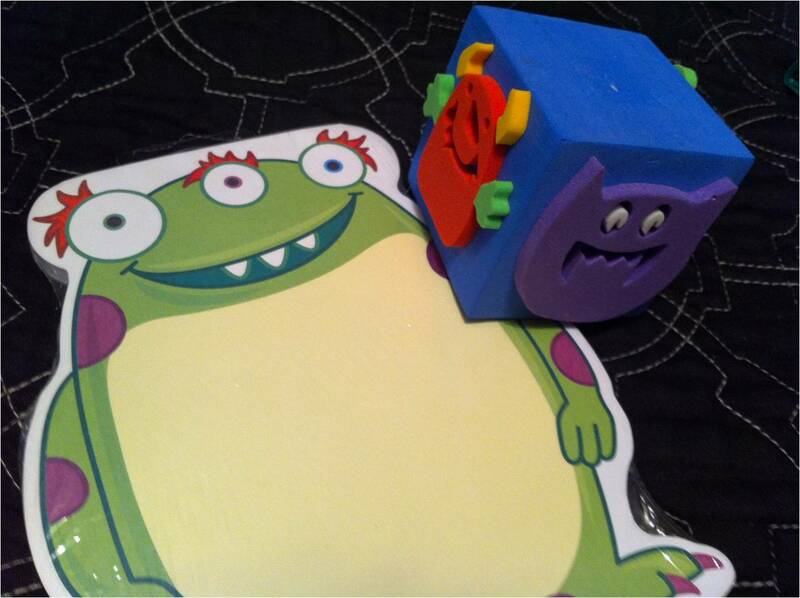 I love all your monster goodies. I can't wait to see what you do with your canvases. 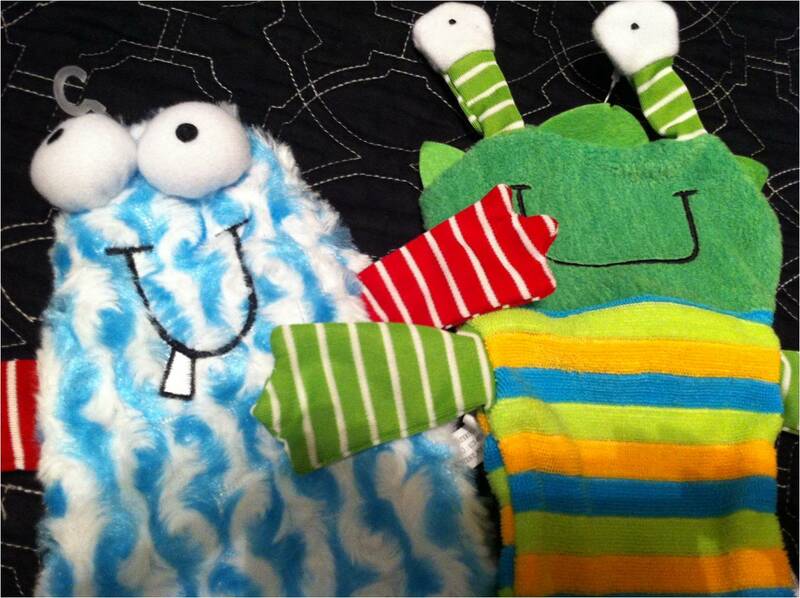 I also bought some of my kiddos and I was thinking about having them paint an owl or themselves. I can't decide. I may use those command picture hanging strips to hang them up The ones I got aren't very heavy so I think 2 per picture would do. Enjoy your last week of summer. I go back on Tuesday! I hope you'll stop by my new Clip Art page!!! I am with you girl! I cannot believe I start back on the 14th?!?!?! YIKES. Time does fly. Enjoy the rest of your time--I too will be concentrating on last minute decorations and beginning of school stuff here at home. Have you looked for the vinyl at Hobby Lobby? I swear I saw a rolls of it at the Anderson Hobby Lobby. I tried to respond to you via email, but for some reason it wouldn't let me. I apologize for leaving a response here instead. I would love to participate in the new blogger showcase. I started mine about a week ago. 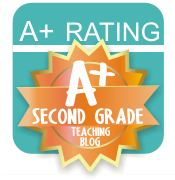 I went on over to Starring in First Grade's blog and became a follower. 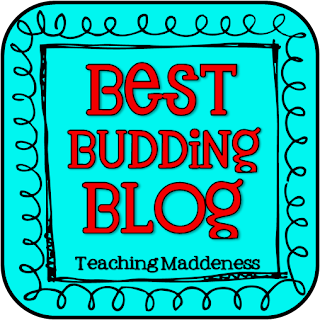 I'm always excited to find other first grade teacher blogs. Thank you for showcasing her! What an awesome group of friends! I love my Scotch laminator, but mine doesn't look just like yours. Not sure if mine is thermal?? Is there a difference? I have a Cricut and get my vinyl at either vinylexpressions.com or on ebay. I have been cutting vinyl polka dots and letters like CRAZY today!!!!! How sweet of you to put me in your post! I love my laminator too! I bought it 3-4 years ago and has been something that I have definitely gotten my money's worth out of! 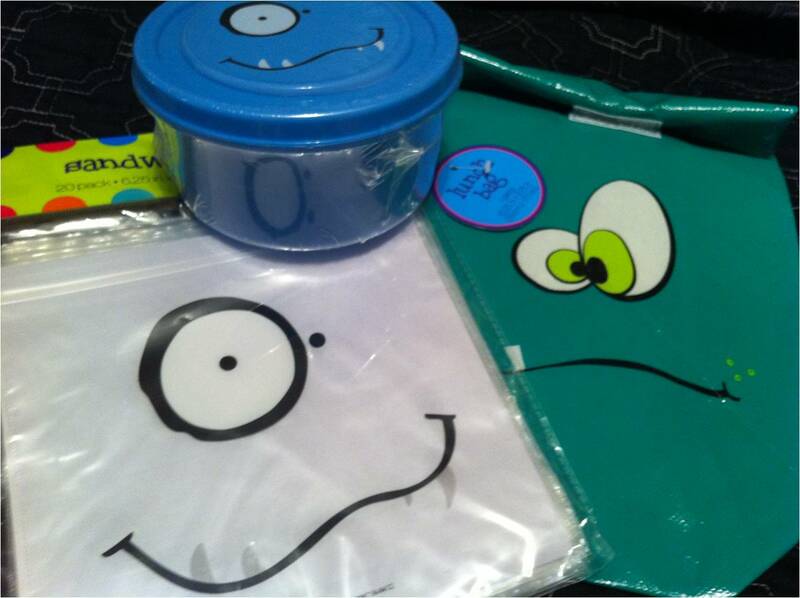 Love all your cute monster themed goodies too! I get my vinyl from Expressions Vinyl. You DEFINITELY need transfer tape. Hobby Lobby has transfer tape though that you can buy. I'm not impressed with the quality of their vinyl though. I love my Silhouette! You just made my week!! I have been working on projects this week that I am looking forward to posting this week! So glad Jeff got a W! I hosted a baby shower today and just now sat down to relax and catch up with the rest of the world!! Have a fabulous night!! I notice that you laminate then cut apat? I always cut them apart then laminate so they all have sealed edges. Takes a little longer because you end up cutting them out twice, but I like having everything totally sealed. How about....Hairy,Scary Second Graders for your BB heading? Love my Laminator too! My list keeps growing as well....it is nice to know I am not alone! 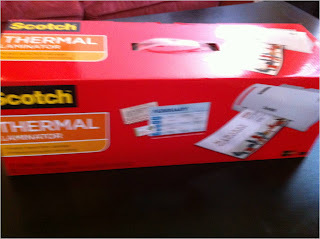 As I was reading your post today about the laminator I was thinking I should buy a laminator for school. I had to laugh when you said the same thing. 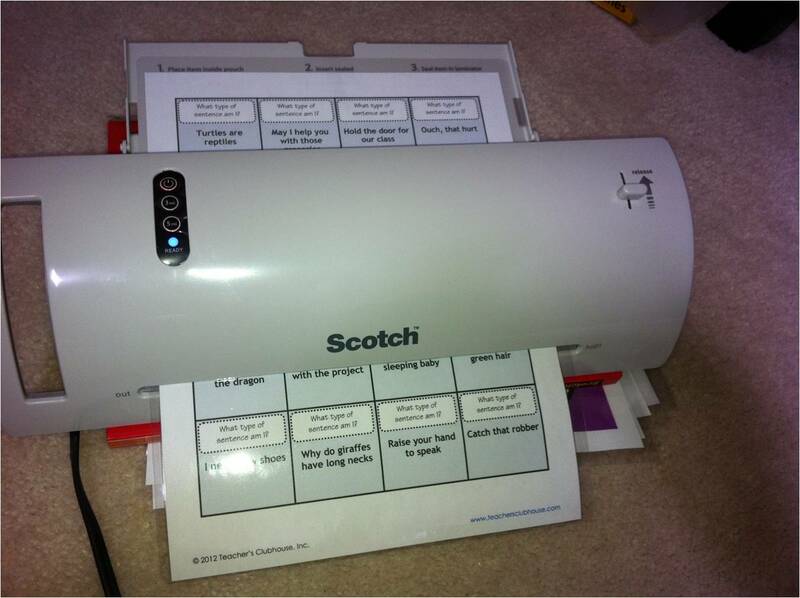 I guess I'm not only one that loves the Scotch laminator. (I just got a $25 gift card to Target. So why not.) We do have a laminator at school, but it we have to wait on someone to laminate for us, and sometimes they just shove our stuff through and every thing overlaps. I've gotten my vinyl from expressions vinyl (that was mentioned above) as well as Amazon. I use intact paper rather than transfer tape. You will definitely need something if you are going to do words. 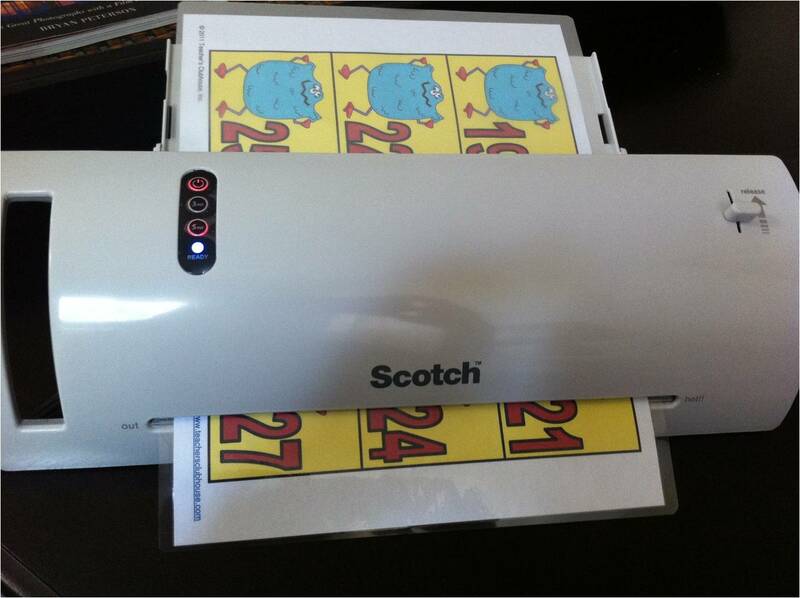 I love my laminator! If you have a Sam's Club, they have packs of the laminating sheets 200 for $20 and they work great! The dice shakers and cookie sheet is absolutely amazing!!! 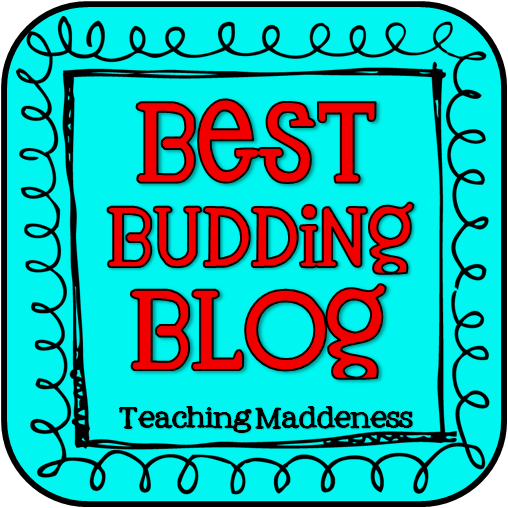 Im a budding blogger myself and am looking forward to learning more about everyone this year. Thanks again!